Hi friends...we have a TREAT for you over the next couple of weeks! 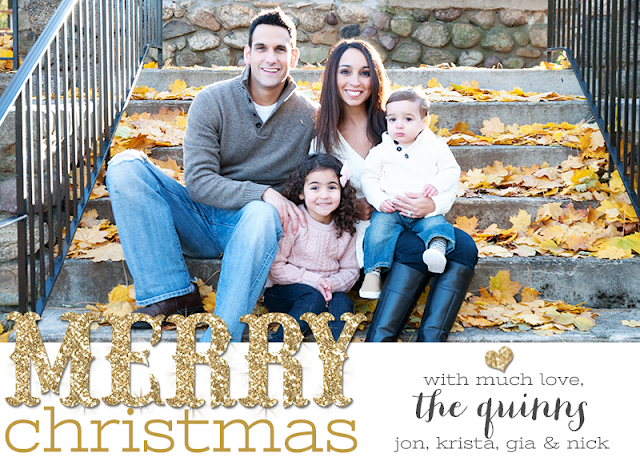 Our two favorite card designers - Jumping Jax Designs and Quick Designs - are guest posting. They are sharing their thoughts on colors, fonts, layout and much more. Enjoy lots of great insight from Becca this week! Hi mommas! 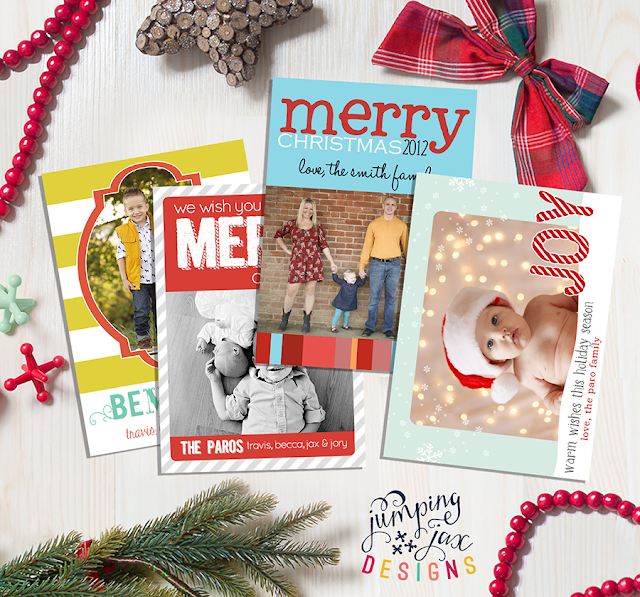 My name is Becca and I'm the founder of a little business called Jumping Jax Designs, where one of our favorite things to create is...you guessed it: Christmas cards! Cards are truly where my heart is, since that is the item that started this business up just over 6 years ago! I love making logos and websites and even invitations and birth announcements, but putting on some Christmas music and whipping up some Christmas card designs is really just my favorite. The Merry Mommas asked me to come guest post and of course I agreed, this little corner of the web is so much fun! So, today we'll be talking about setting realistic expectations for your card design; what you should know about your card design? 1.) How many photos do you (REALLY) want to use? 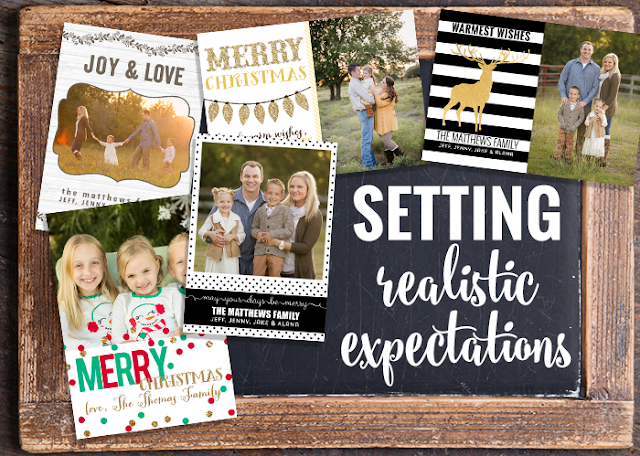 I get clients all the time who send me a gorgeously simple card design that uses one photo, and they want me to recreate it using six of their favorites from their family photo session. While the designer in me is asking you (begging you) to PICK ONE PHOTO, as a momma I know that that's not always easy to do, especially if your photographer rocks your socks off with some amazing shots of each family member. 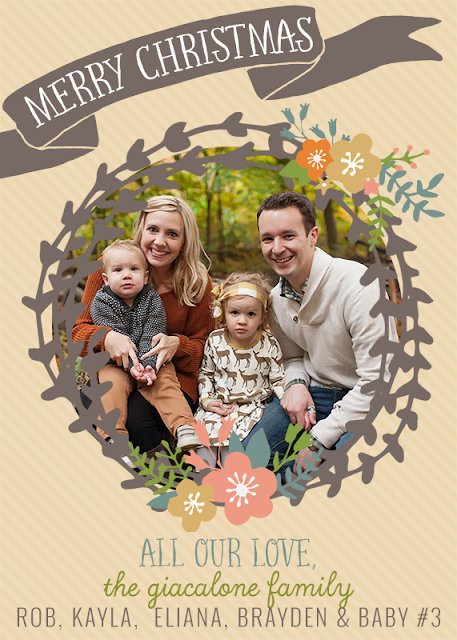 To keep your card simple, try choosing a favorite photo of your family for the front of the card. Make sure it is one that shows every family member clearly! If you'd really like to use some of your other favorites from the shoot, ask your designer if she can place them on the back of the card for you. While you'll pay more for a double sided design, this will allow you to share other photos with your loved ones and still keep the minimalistic feel that you fell in love with. Sure, your sister's roommate has Photoshop and can whip you up a quick card to print on Vistaprint, but the saying is true; you get what you pay for. If you're not willing to pay a designer to create and print your cards, chances are that the result will not be a polished and beautiful card. Sorry, but that's the truth! Designers have at their disposal thousands of gorgeous fonts and graphics that will make your card come together nicely, and some can even hand-letter sayings that will make your card truly one-of-a-kind! Not to mention that the paper and cut quality will be much better if you have a custom designer do the cards for you! 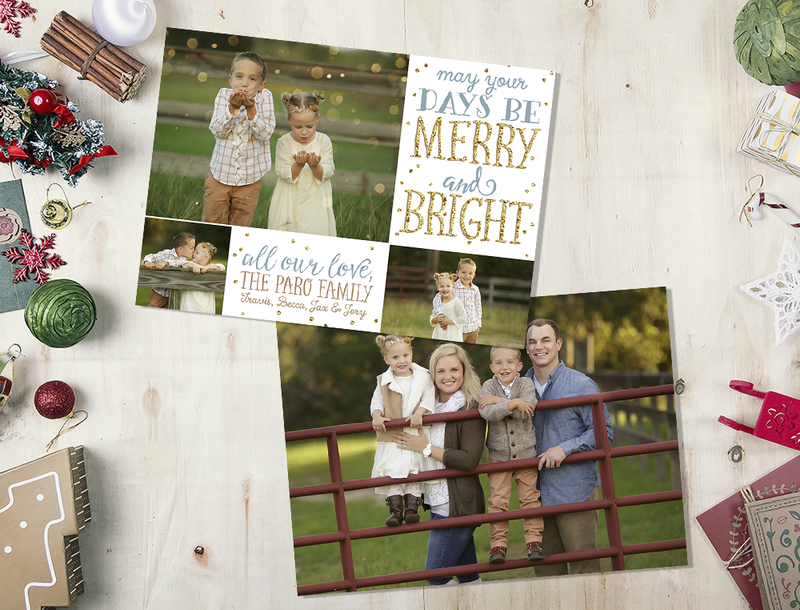 And likewise, if you opt to throw your family photos into the pre-made card designs at Walmart or Walgreens, you will probably not wind up with the most beautiful or custom final product. When you have a designer customize a card for you, she can pull colors from the outfits to use in the card so that it all ties together nicely, and can make your text stand out from the photo, which a machine cannot/will not do. While yes, all of these features are beautiful and unique, realistically, most of these Christmas cards are likely going to make their way into the trash can before the end of January, so I find it is better to pick the items that matter most to you and cut corners (pun intended) to save a few bucks wherever you can. I do recommend getting a double sided card if you have lots of photos to share! 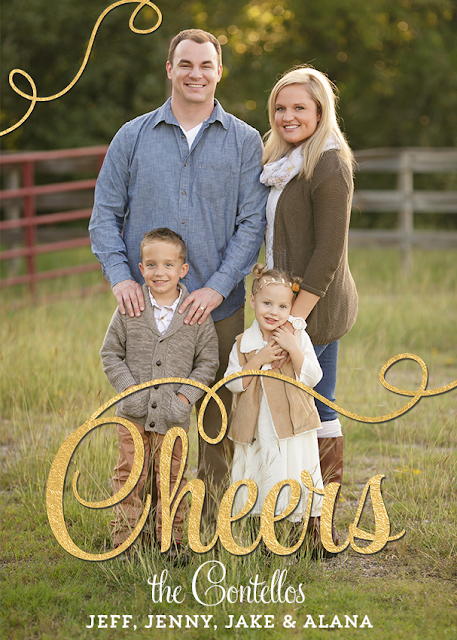 You could even ask your designer to add some annual updates to the back of the card, and knock out the "family letter" and Christmas card design in one fell swoop! That is what you need to know up front, and check back for our next post where we'll discuss layouts and colors! Becca is the best! Thanks for stopping by our neck of the woods - come back again for more ideas and inspiration! Such good info...feeling inspired!!! Thanks ladies!